What Model Best Defines Its Brand? We are not talking about the "best" or the "greatest" car an automaker has ever made, though those cars could be the answer, but rather what model exemplifies the a brand's ethos the most? I'll give this a try and you can feel free to disagree or give it a go yourself. I believe the F40 is the ultimate embodiment of the Ferrari brand from both a holistic and historic perspective. Enzo Ferrari needed to fund his racing team so he started making sports cars. Ferrari has always been, and hopefully will always be, a pure sports-car manufacturer. Their cars are fueled with passion and the notion that while they are street cars, their true home is on the racetrack. 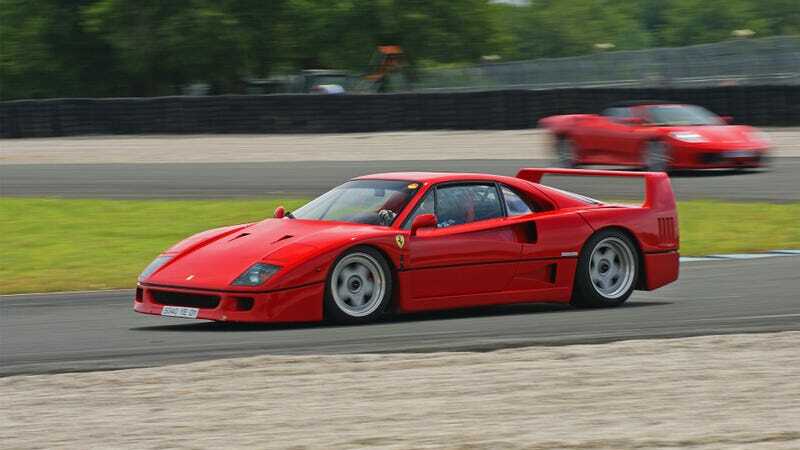 For me, nothing says that more than the mighty F40. Now you are going to have to think deep on this one, and the explanation is far more important than the selection. So what car do you think is the best demonstrates its brand's essence?